There are some areas around the house that receive all sorts of attention. The floors obviously get cleaned often with a vacuum cleaner or a broom. Even the bathroom toilet and sink might receive weekly or bi-weekly attention from a home owner. However, there are other areas that need to receive extensive spring cleaning attention in order to make sure the home is clean, looking good and smelling great. Of course, for those people who are busy and just don't have the time to spend on cleaning their house extensively, or who would rather just relax after a long work week, Maid Complete is able to provide the housekeeping services any home owner might desire. It is a good idea to know what areas need to be cleaned in the home prior to spring cleaning though, so they know what to ask for when contacting Maid Complete. While the basic cleaning service does cover a substantial amount of the home, a deep clean might be the best way to go when the spring months roll around and it is time to open up the house to beautiful weather in Denver. The floors receive most of the attention and even the windows are cleaned from time to time. However, the walls are touched, leaned against, rubbed on and all sorts of other things are done to the walls, yet many people never actually wash and clean the walls. The walls collect all sorts of dirt and grime over the course of the year yet the walls do not receive much in the way of cleaning. That is exactly why it is so important for home owners to request Maid Complete to clean the walls come spring. This way, there is a fresh start to the year and a great way to have beautiful, clean looking walls. As the winter gear is put away for the season and new clothing is brought out, it actually is rather amazing the amount of dirt that is tracked into these small spaces. The problem with these areas is that very little cleaning actually takes place and it is exactly why it is important for a home owner to have Maid Complete move in and clean the closets. This way, when they pull out the new clothes each pair of paints or fresh shirt is going to smell clean and they can avoid worrying about the dust, dander and other problem areas that might develop without any cleaning at all. Wiping down the cabinets is available in the deep cleaning service provided by Maid Complete. However, the inside of the cabinets needs to be cleaned as well. With all of the food and dishes that are stored inside of the cabinets, it is rather amazing how little attention the interior receives. Spring time is the perfect time to have this area cleaned out (especially if the cabinet doors are glass and anyone can see inside). Cleaning inside of the cabinets is an extra purchase that can be added on. Along with the walls, now is the time to clean the windows. The main problem with windows is it is actually difficult to see when the windows are dirty or not. There might be a film of dirt stuck to the windows that isn't even noticeable until it is cleaned. This is especially true for smokers as the windows look fine until washed. Cleaning windows is another speciality service that can be added on to the cleaning package with Maid Complete. The housekeeping service providers in Denver want to make sure the house always looks good and that home owners receive all the cleaning services required. 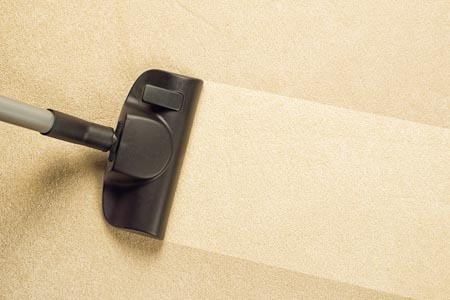 While thorough cleaning throughout the year is important, there should always be once or twice during the year where some additional cleaning is performed beyond the ordinary. After all, most of these areas start to collect dirt, dander and debris but may not show it, at least until it is removed. Maid Complete wants to provide house cleaning services for all home owners. It does not matter the size of the property or how many people live inside, the cleaning professionals always go out with two maids, so that the cleaning is done quickly and that everything is always taken care of in a professional manor.